Ever imagine stumbling upon a Thai-infused resort without leaving Europe? 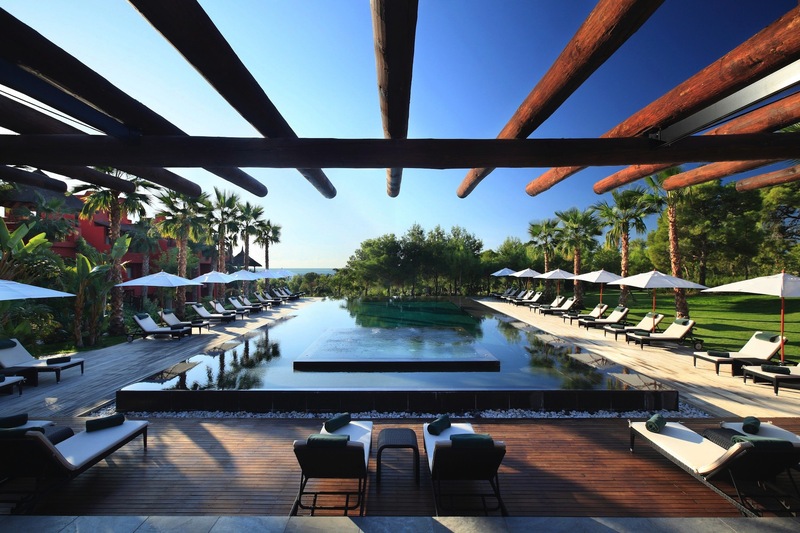 Meet Barceló Asia Gardens Hotel & Thai Spa , an inspired concept that works like a dream in the popular Costa Blanca (Alicante), with a microclimate setting wall year round. Set in the foothills of Sierra Courtina, it is just a 25 minutes’ drive from Alicante’s airport and just over an hour from Valencia’s airport and train station. 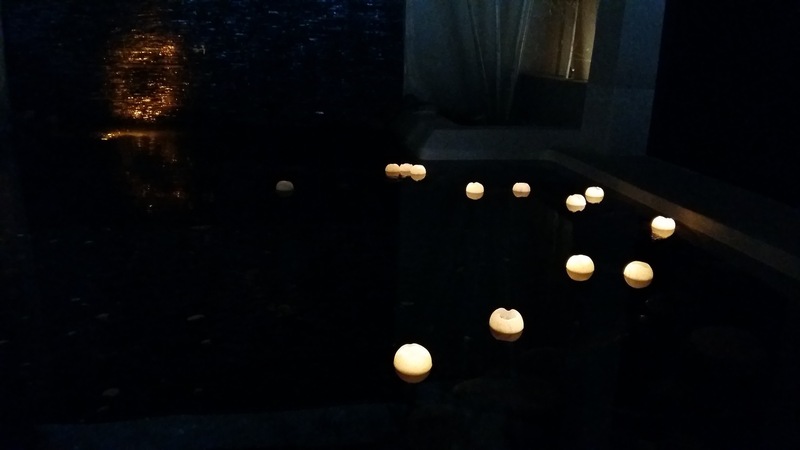 It has been a great pleasure to discover this amazing hotel last week with the finest elements of an Asian resort: a Zen-calm atmosphere, above-and-beyond service and friendly professionalism. Barceló Asia Gardens Hotel & Thai Spa has a unique interior design with colonial, European and Balinese-style furnishing beside sleek and dazzling Mediterranean light. From the first moment you enter the hotel, you can feel that the aim of this luxurious Asian hotel is the relaxation of the whole family. The hall is stunning, fitted out in responsibly produced FSC certified woods, in the architectural styles of South Eastern Asia. This is an enormous space, decked with Asian decorative features made of finest quality materials (stone, exotic woods such as tropical rosewood, marbles…), valuable antiques (a hand embroidered Japanese kimono, a kimono storage chest, rosewood tables, threshing boards, trunks, cartwheels, canoes…), exquisite examples of Asian handicrafts (brocaded wooden palace doors, masks, tapestries, a collection of old necklaces, hand embroidered cloth…) and sculptures (stone lions, stone carved faces, images and iconography of Buddha…). A walk through the gardens is a fascinating experience. There are more than 110,000 trees and species which have been brought from far ranging corners of Asia to create an exuberant garden peppered with lakes, waterfalls and infinity pools. This is a design which merges completely with the landscape, achieving an attractive skyline effect with the skyscrapers of Benidorm in the background. What most impressed me about the garden was the extraordinary specimen of Macrobonsai (Pinus Pentaphylla), which took weeks to be transported from Saitama Ken to the port of Valencia. This tree, totally acclimatised to the zone now, is a hundred years old and is a symbol for the hotel. 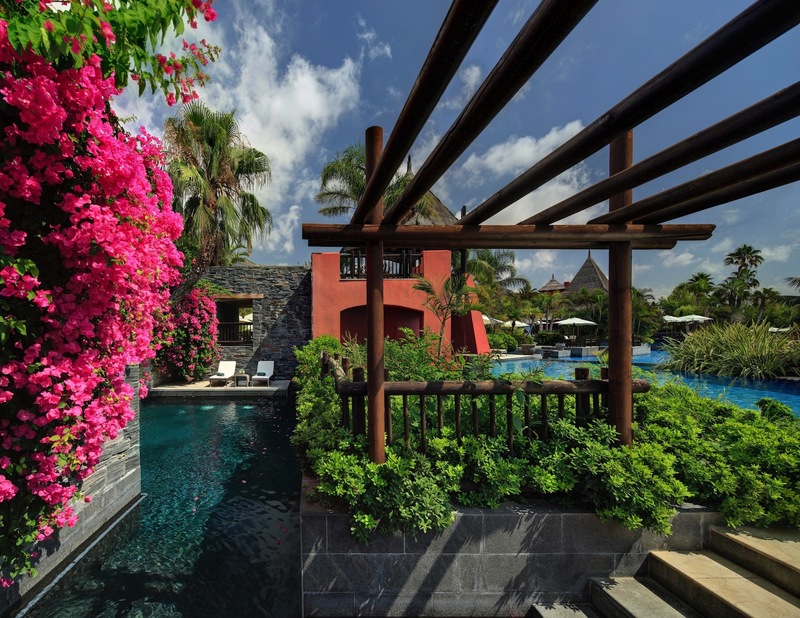 Immersed in the gardens, ASia Gardens Hotel & Thai Spa, offers 6 unique Asian design pools, 3 of them for families. The essence of the hotel is the famous SPA, with a range of Thai therapies, such as the nuad Thai massage and the nuad nam mun massage that combines Thai wisdom, tradition and knowledge of a Thai team to feature the philosophy of calm, peace and harmony providing an authentic anti-stress experience. Thai wisdom and tradition join together in the art of finding spiritual and physical balance and wellbeing. Originally from China and india, it is in Thailand where we find the most effective yet relaxing techniques for naturally unblocking and releasing the body’s working and rhythms in order to reconnect body and mind. These techniques have been developed over the last 2500 years, and all the Thai professionals at the Hotel have been trained at the Wat Po Temple in Bangkok, a veritable university of traditional Thai massage. They offer the traditional Nuad Thai Massage, which follows ancient traditions passed down from generation to generation. Unusual movements stretch and bend the body and the therapist uses their hands, elbows and feet as massage pressure points to stimulate the flow of energy, stretch the muscles and free deep-rooted tension. 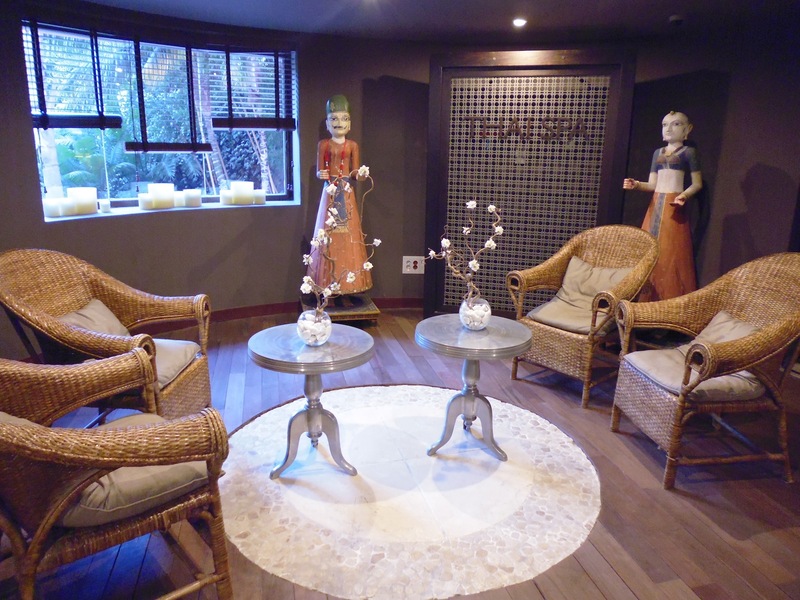 Other treatments offered include Nuad Nam Mun (massage with oils), Look pra Khop (thai massage with herbal compresses), and treatments from India (Ayurveda) and Japan (Shiatsu and Reiki). This Spa has a special message for Pregnant Women: Nuan Kon Thong, a gentle massage for reducing tension in the back, legs, neck and head. Prenatal massage involves the use of a high-quality nutritional cream to aid the circulation and provide relief for the neck and back. It should only be given after the fourth month of pregnancy. They also offer NUAD DEK or massage for babies. It is a soft massage that relaxes the baby. So your babies are also welcomed in this spa! The hotel offers your children the chance to have dinner with other children in the hotel, under the constant supervision of a monitor. This programme is called “Mini Dinner” and is followed by a little party. I can recommend it to you, because it means that you can enjoy your own dinner without worries, knowing that your children are having a great time. A wide variety of gastronomy for all kind of palates is available at the hotel with a la carte restaurants, buffet restaurants and bars. The 7 restaurants of the hotel offer the perfect fusion of original Asian flavors and traditional Mediterranean and international cuisine. They are all open to all guests except the restaurant In Black which is exclusively for adults and children over 12 years old. I recommend the snack-bar ZEN, just by the swimming-pool with an extraordinary Kids Menu. I loved the natural pineapple shake, the salads, sandwiches and pizzas. It is a great option for families that want to have a quick lunch by the pool. And if you have the chance, make a reservation at the hotel’s KOH SAMUI Asian restaurant specialising in the choices oriental crossover cuisine. I recommend Tumis Sapis (their beef stew with tender garlic, onion, pepper, shiitake mushroom, oyster and soya sause), the Kare Udang Gala (lobster curry with coconut milk) and the Kue Marquisa (passion fruit cake). Everything was really delicious. Rooms are ultra comfortable (kind size beds) and spacious, with amazing terraces and decorated in a modern Balinese Style. The bathrooms are very original, with translucent panels and high cosmetic amenities both for adults and also for children. These are the details that make you feel that this hotel is really a luxury hotel for families with small children. I also would suggest that you study the complete free activities program offered by the hotel for both children (games, crafts) and adults (taichi,chi-kung, meditation, pranayama, yoga…). I enjoyed their asian demo cooking class and in a separate post I will share with you the delicious Asian recipe that they taught us. 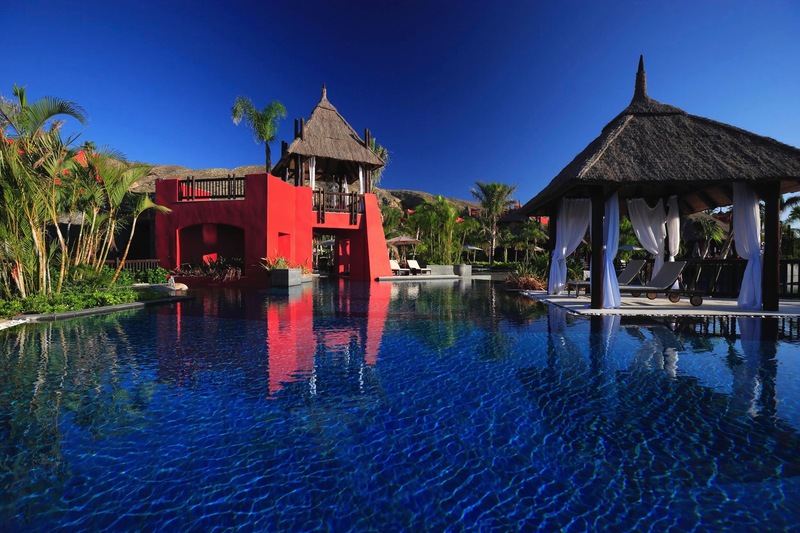 Even it is a luxury hotel, it has amazing offers on their website. They are now promoting their Christmas and New Year Eve Masskara Festival packs. I’d like to round this post off with this photo of the ceremony in the fountain of wishes. It’s a very special ritual which takes place in the hotel at the end of the evening. Anyone can take part and light a candle while making a spiritual wish. I hope that your wishes will also come true!